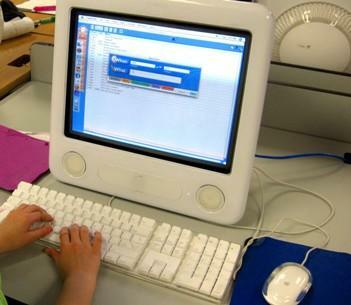 Although many people think that the internet is no place for children, there are actually many educational web sites for kids. With proper adult supervision, kids can practice reading and math extensively on the internet. There are also places online where children can learn about science, history, geography, art, music, and even foreign languages. On the internet, educational is not at all synonymous with boring -- the sites featured here are fun and educational. What's more, many of these sites are free! IKnowIt.com is another great educational web site for kids with a focus on math practice. The site offers activities by grade level, ranging from preschool to sixth grade. Activities are also searchable by subject. Kids can ask for hints on questions and are escorted through the questions by a silly cartoon character who dances when the child gets a question right. The site is free, but you have to pay for "premium content." The site offers a variety of arcade-type games; many are educational, and all are fun. There are two educational blogs on the site, one for boys and one for girls. Both blogs feature informative posts about other countries, states, and cultures. Although this site appears to have major corporate sponsorship, it doesn't look as polished as some of the other sites. Still, there is plenty here to keep your kids entertained and educated. There are many activities on this site to appeal to preschoolers and young children. Older kids will find much to do at PBS Zoom. UpToTen.com is an award-winning, highly professional educational web site for kids. As its name suggests, the site is intended for children up to age 10. UpToTen offers games, coloring pages, and animated cards. The site is conveniently divided into two categories; Boowa & Kwala is for preschoolers up to age six, and Games: 6-10 is for older kids. Offerings for older kids include puzzles, mazes, and races while preschoolers can enjoy storybooks, songs, and games. Supervise your kids when they are online. Instruct your children not to give out personal information online. Check out unfamiliar web sites before you allow your children to visit. Be sure to check out the ads, too. Do not give children unlimited internet access. Place parental controls on your computer.